Paul Pester’s departure from the UK lender is unsurprising after five months of IT disasters. But he’s also the first bank chief whose exit is largely down to computer failures. Those already wary about accepting senior banking positions have another reason not to. 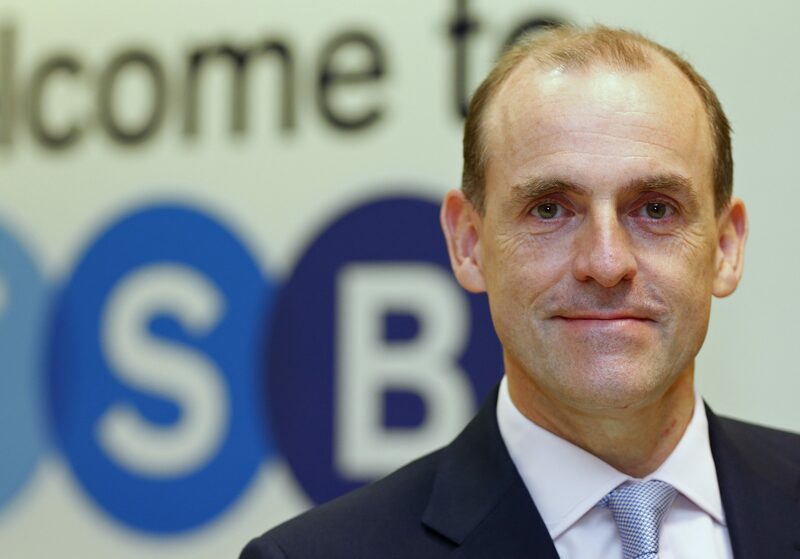 Chief Executive of the TSB bank, Paul Pester, poses at the bank's Baker Street branch in London September 9, 2013. Paul Pester, chief executive of Britain’s crisis-hit TSB Bank, said on Sept. 4 he was stepping down. Pester served seven years in charge of the challenger lender including its public listing and sale to Spain’s Banco de Sabadell, but was heavily criticised for his role in a botched IT migration in April that caused widespread disruption for millions of its customers. The bank is still experiencing disruptions to its IT system. Richard Meddings, current non-executive chairman of TSB, will take on the role of executive chairman with immediate effect to enable a full public search for a new chief executive. The lender was sold by Lloyds Banking Group to Spain’s Banco Sabadell in 2015. Sabadell shares were up 1.4 percent to 1.33 euro at 0747 GMT on Sept. 4.